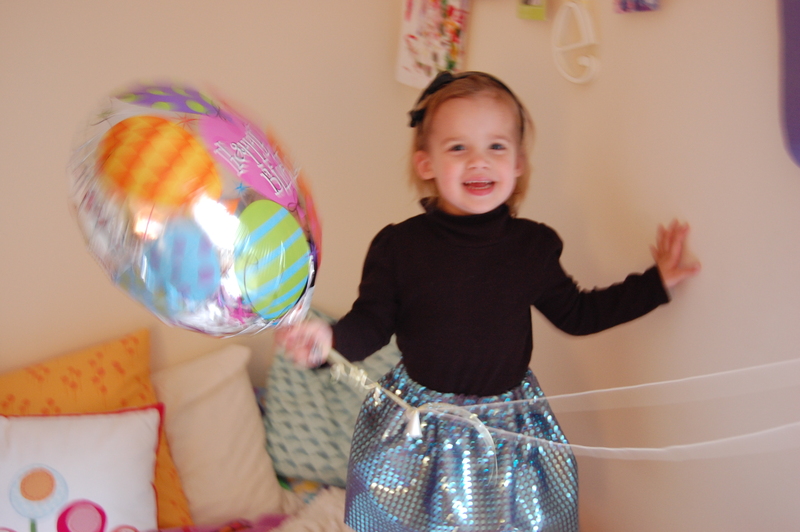 By letting your 2 1/2 year old pick out some CA-RAZY fabric at the fabric store. 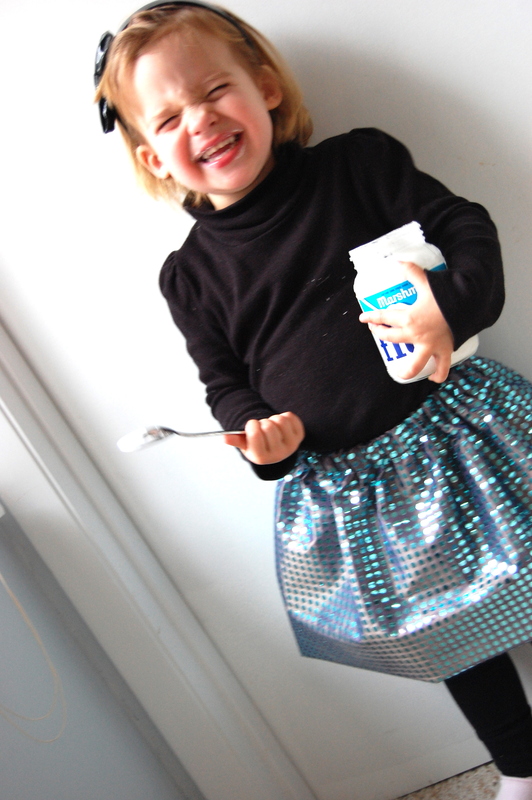 ﻿﻿﻿Make her a rockin’ bubble skirt with it. Now let her eat some Fluff! Out of the jar of course!